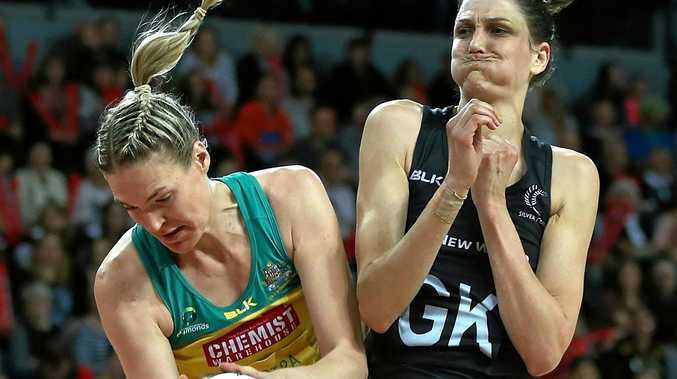 NETBALL: Silver Ferns defender Anna Harrison is preparing to unleash a bold new defensive tactic in tomorrow night's Constellation Cup finale in Invercargill. The athletic defender, who introduced the Harrison Hoist - a ploy where a defender is lifted in order to block a shot - to top-level netball, has been working on a new innovation in her defence against shooting. The Ferns have trialled the new move in training this week as they continue to look at ways to curtail the impact of 193cm Diamonds shooter Caitlin Bassett. New Zealand coach Janine Southby said she was comfortable with Harrison using the tactic in the final clash of the series after the umpires found no issue with the move when it was used in a training match this morning. "I think the girls are keen to have a go, we were just seeing what reaction we got today (from the umpires) and they were okay with it,” Southby said. Harrison warned the defensive ploy was still being perfected and it wouldn't be the magic bullet to breaking down the well-drilled Diamonds attacking unit. "It's very new, and there will be bloopers. We might not even get to do it. It's kind of similar to the lift in that you can only do it when everything aligns,” the veteran defender said.